England captain Joe Root won the toss and elected to field against India in the third Test at Trent Bridge on Saturday where Ben Stokes returned to the side after being acquitted of an affray charge. Root had confirmed on Friday that Stokes would play just days after he was found not guilty by a court on Tuesday, with the all-rounder replacing left-arm swing bowler Sam Curran in the only change to the side that thrashed India by an innings and 159 runs in the second Test at Lord's last week. 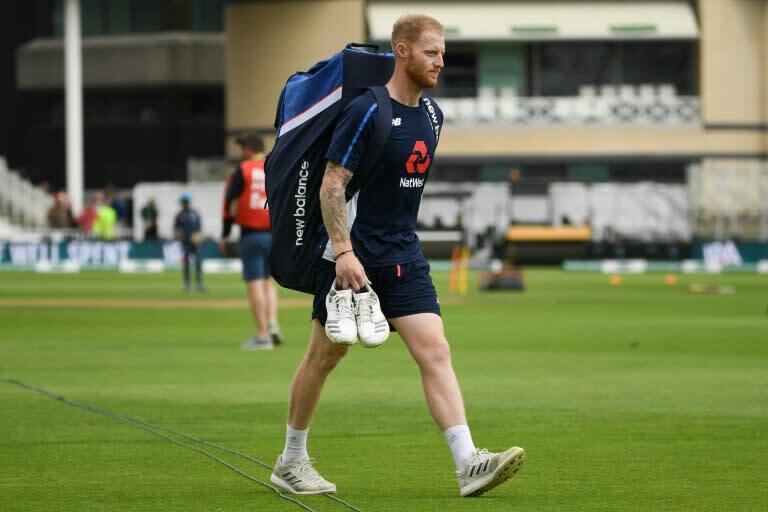 With England fielding first the team, including Stokes, were cheered on to the ground, although it remained to be seen how the crowd would react when he came on to bowl. Victory would give England an unassailable 3-0 lead in this five-match series. India made three changes with opening batsman Shikhar Dhawan, dropped for the second Test, replacing Murali Vijay, who was twice out for nought at Lord's. They also gave a debut to wicket-keeper Rishabh Pant, who came in for Dinesh Karthik. And paceman Jasprit Bumrah, fit following a broken thumb suffered in a Twenty20 international against Ireland in Dublin in June, was selected instead of left-arm wrist-spinner Kuldeep Yadav as India altered the balance of their attack at a venue known to assist seam bowlers. The 36-year-old Lancashire swing bowler started this match with 553 Test wickets to his credit, 10 behind the tally of retired Australia great Glenn McGrath. If Anderson overtakes McGrath he will become the become most successful pace bowler in Test-match history. "There's a nice covering of live grass," said Root at the toss. "We've been performing extremely well with the ball so it's a good opportunity for us. "It was a hard decision to leave Sam Curran out because he's played very well in a team which is playing some very good cricket. But we feel we have the opportunity to do something special this week." Meanwhile India captain and star batsman Virat Kohli insisted: "We wanted to bat. The surface looks pretty hard. There is grass cover but it should be a good cricket wicket. We have to play freely, be fresh and express ourselves. "Jasprit bowls great areas and an attacking line. We are excited to have him back. "We have to make sure we win this Test match. Every ball is important. We have spoken about that as a team. It is about making it happen."